Aap Se Milkar Lyrics from AndhaDhun: The song is sung by Ayushmann Khurrana. 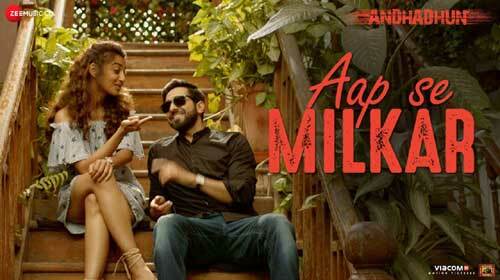 It is composed by Amit Trivedi while “Aap se milkar accha laga” lyrics are penned by Jaideep Sahni. किस्मत का ताला खुला हाँ हाँ..
आप से मिलकर अच्छा लगा..